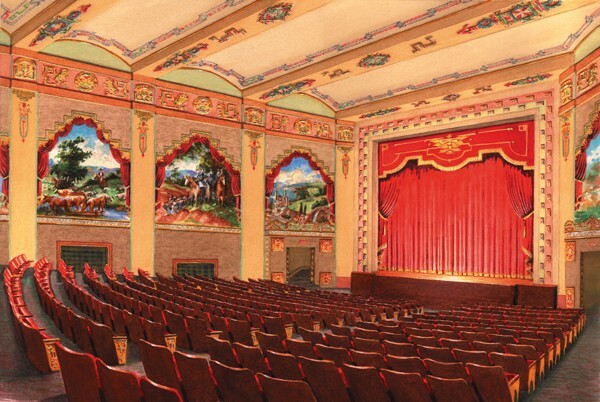 Located in historic downtown Marion, and next door to the General Francis Marion Hotel, the Lincoln was originally a movie house built in the 1920s. 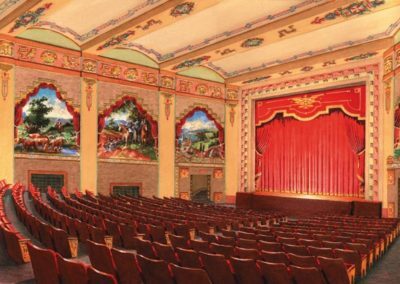 The theatre was fully restored in 2004 to host live performances. 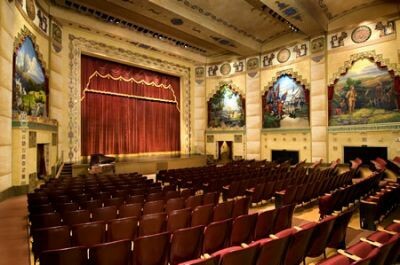 The Lincoln is one of only three existing Mayan Revival-style theatres in America and is included on the National Register of Historic Places and has been designated a Virginia Historic Landmark. 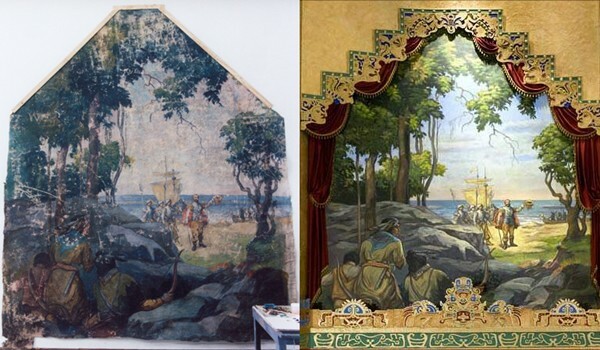 As part of the restoration, Conrad Schmitt Studios restored six large murals, which depict local and American scenes, and were originally painted by former resident and artist, Lola Poston. 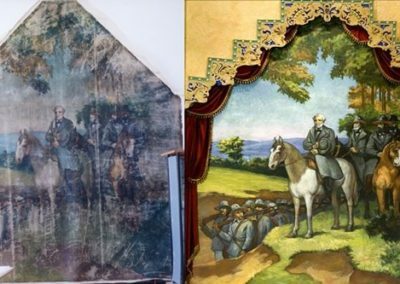 The canvases were removed from the theatre walls and transported back to the Studio for the renewal of these badly deteriorated pieces of history. After a century of exposure to the natural effects of the environment, the color and intensity were lost. 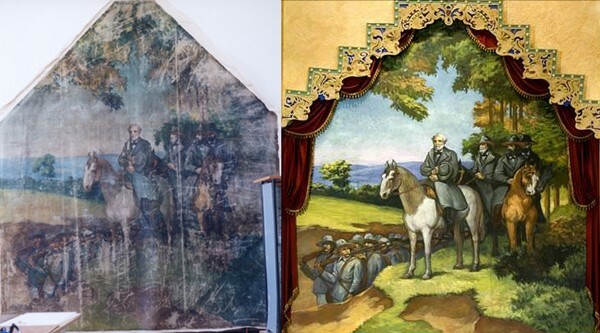 Some sections of the murals were so bad, they were nearly indistinguishable. 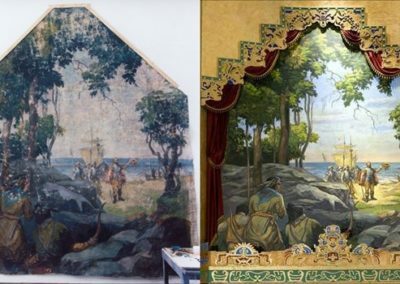 After Studio artists painstakenly repainted the historic scenes, they were reinstalled in the theatre for the renewed enjoyment for generations to come.